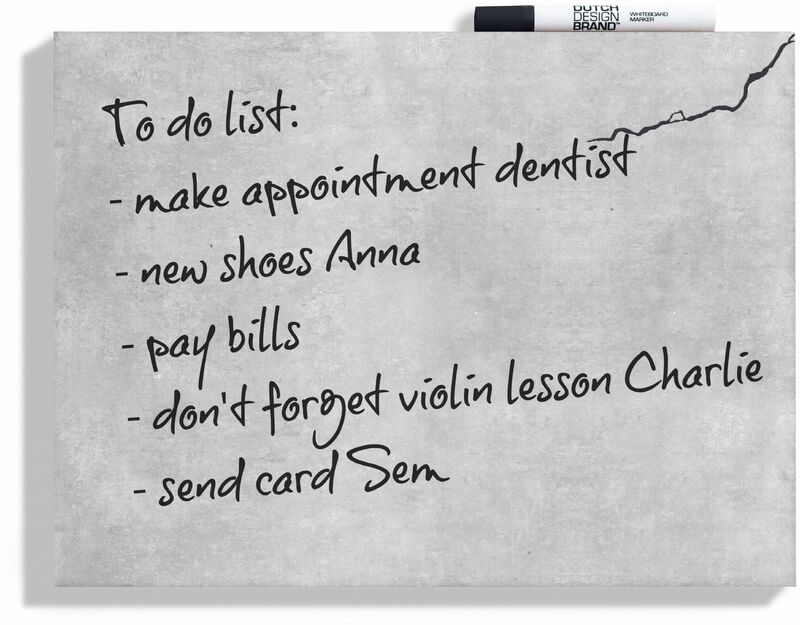 These whiteboards in four great designs are a very handy household addition. Perfect for notes, shopping lists and things that can't be forgotten! Made in Holland from FSC certified cardboard and then laser printed with either a beachwood, concrete, dutch tile or gold bird design, they can be hung both vertically and horizontally. They also come with a whiteboard marker. 45cm x 34cm x 2.5cm.